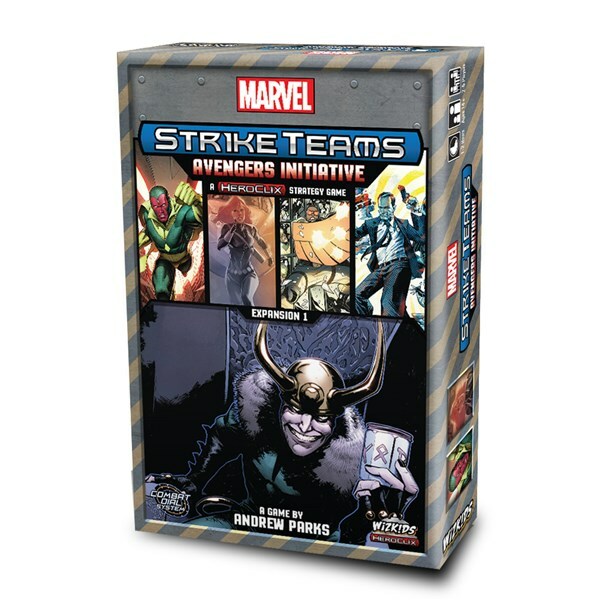 WizKids is thrilled to announce that Marvel Strike Teams, its newest Heroclix strategy game set in the iconic Marvel Universe, and its expansion, Marvel Strike Teams: Avengers Initiative, is now available in North American game stores! Marvel Strike Teams puts 2-5 players into the shoes of fan-favorite heroes and villains from the Marvel Universe. 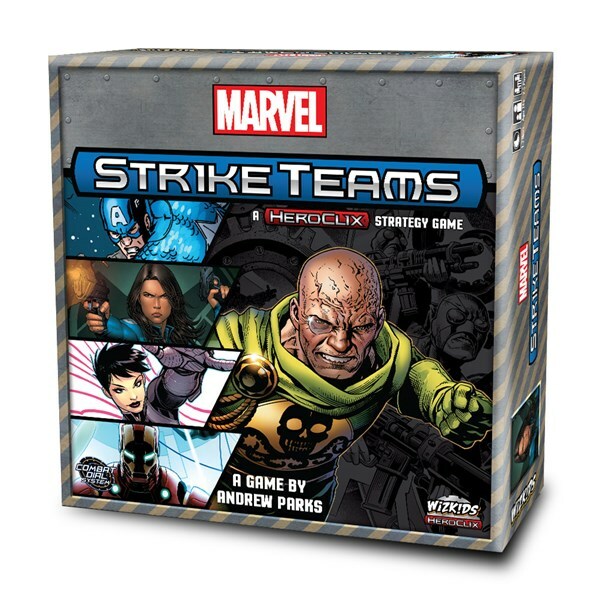 Each character has a Heroclix combat dial used to track their level and build points as they play through the game’s various missions and scenarios. In addition, the exciting Avengers Initiative expansion, also available now, adds some of Marvel’s most powerful heroes and villains, including Loki, the Asgardian God of Mischief, Ultron, Black Widow, and Vision, to the Marvel Strike Teams lineup! With randomly selected scenarios, multiple Map Tiles, and THOUSANDS of possible encounters, each mission will feel like a fresh new way to save the world! Marvel Strike Teams is available at your Friendly Local Game Store or online today.